Hongjun Chen, Matthew Angel, Weizhong Li, Courtney Lapaglia-Finch, Ana Silvia Gonzalez, Troy Sutton, Jefferson Santos, and Daniel R. Perez. All-in-one bacmids: An efficient reverse genetics strategy for influenza A virus vaccines. Journal of Virology. 2014 Sep 1; 88(17): 10013-25. Chen H, Ye J, Xu K, Angel M, Shao H, Ferrero A, Sutton T, Perez DR. Partial and Full PCR-Based Reverse Genetics Strategy for Influenza Viruses. PLoS One. 2012; 7(9): e46378. Hongjun Chen, Shengqing Yu, Meirong Hu, Xiangan Han, Qinghai Hu, Xvsheng Qiu, Lei Tan, Song Gao, Chan Ding. Identification of Biofilm Formation by Mycoplasma gallisepticum. Veterinary Microbiology. 2012 Dec 28; 161(1-2): 96-103. Hongjun Chen, Shengqing Yu, Xinyue Shen, Danqing Chen, Xvsheng Qiu, Cuiping Song, Chan Ding. The Mycoplasma gallisepticum α-enolase is cell surface-exposed and mediates adherence by binding to chicken plasminogen. Microbiology Pathogenesis. 2011, 51(4): 285-90. CHEN HongJun, ZHAO ChunMei, SHEN XieYue, CHEN DanQing, YU ShengQing & DING Chan. Construction of mini-Tn4001 transposon vector for Mycoplasma gallisepticum. Sci China Life Sci, 2010, 53: 1340–1345. Hongjun Chen, Wei Wang, Cuiping Song, Shengqing Yu, and Chan Ding. Marek’s disease virus VP22 enhances potentially the immune response of ESAT-6/CFP-10 against Mycobacterium bovis infection. Acta Biochim Biophys Sin 2010, 42: 337–344. 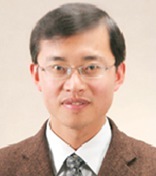 Hong-jun Chen, Chen-fei Zhang, Cui-ping Song, et al. Strategies of Enhancing Immune Responses to IBDV VP2 fused to MDV-1 CVI988 VP22. Science in China Series C. 2008, 51 (11): 981-986. Hongjun CHEN, Cuiping SONG, Aijian QIN, et al. Expression and intercellular trafficking of the VP22 protein of CVI988/Rispens vaccine strain of Marek’s disease virus. Science in China Series C: Life Sciences. 2007, 50(1): 75-79. Zhou H, Chen S, Yan B, Chen H, Wang M, Jia R, Zhu D, Liu M, Liu F, Yang Q, Wu Y, Sun K, Chen X, Jing B, Cheng A. LPAIV H9N2 Drives the Differential Expression of Goose Interferons and Proinflammatory Cytokines in Both In Vitro and In Vivo Studies. Front Microbiol. 2016 Feb 17; 7:166. Yang J, Dai X, Chen H, Teng Q, Li X, Rong G, Yan L, Liu Q, Li Z. Development of blocking ELISA for detection of antibodies against H9N2 avian influenza viruses. J Virol Methods. 2016 Mar; 229:40-7. Qi Y, Yan B, Chen S, Chen H, Wang M, Jia R, Zhu D, Liu M, Liu F, Yang Q, Sun K, Wu Y, Chen X, Jing B, Cheng A. CpG oligodeoxynucleotide-specific goose TLR21 initiates an anti-viral immune response against NGVEV but not AIV strain H9N2 infection. Immunobiology. 2016 Mar; 221(3): 454-61. Teng Q, Shen W, Liu Q, Rong G, Chen L, Li X, Chen H, Yang J, Li Z. Protective efficacy of an inactivated vaccine against H9N2 avian influenza virus in ducks. Virol J. 2015 Sep 17; 12:143. Shijun Bao, Danqing Chen , Shengqing Yu, Hongjun Chen, Lei Tan, Meirong Hu, Xusheng Qiu, Cuiping Song and Chan Ding. Characterization of triosephosphate isomerase from Mycoplasma gallisepticum. FEMS Microbiology Letters, 362, 2015, fnv140. Shao H, Fan Z, Wan Z, Tian X, Chen H, Perez DR, Qin A, Ye J. An efficient and rapid influenza gene cloning strategy for reverse genetics system. J Virol Methods. 2015 Jun 6; 222: 91-94. Ye J, Fan Z, Shang J, Tian X, Yang J, Chen H, Shao H, Qin A. ALV-J GP37 Molecular Analysis Reveals Novel Virus-Adapted Sites and Three Tyrosine-Based Env Species. PLoS One. 2015 Apr 7; 10(4): e0122887. Weizhong Li, Hongjun Chen, Troy Sutton, Kemin Xu, Adebimpe Obadan, and Daniel R. Perez. Interactions among the Influenza A virus RNP Components and the Retinoic Acid-Inducible Gene I: Impact on Interferon Production and Viral Polymerase Activity. Journal of Virology. Sep; 88(18): 10432-47. Sutton TC, Obadan A, Lavigne J, Chen H, Li W, Perez DR. Genome rearrangement of influenza virus for anti-viral drug screening. Virus Res. 2014 May 12; 189C: 14-23. Sutton TC, Finch C, Shao H, Angel M, Chen H, Capua I, Cattoli G, Monne I, Perez DR. Airborne Transmission of Highly Pathogenic H7N1 Influenza in Ferrets. J Virol. 2014 Jun 15; 88(12): 6623-6635. Zhang S, Sun Y, Chen H, Dai Y, Zhan Y, Yu S, Qiu X, Tan L, Song C, Ding C. Activation of the PKR/eIF2alpha signaling cascade inhibits replication of Newcastle disease virus. Virol J. 2014 Mar 31; 11(1): 62. Yingjie Sun, Siyu Serena Ding, Na Ding, Chunchun Meng, Songshu Meng, Shilei Zhang, Yuan Zhan, Xusheng Qiu, Lei Tan, Hongjun Chen, Cuiping Song, Shengqing Yu, Chan Ding. Autophagy is essential for Newcastle disease virus replication in vitro and in vivo. Journal of Virology. 2014 Jan;88(1):525-37. Hongquan Wan, Jin Gao, Kemin Xu, Hongjun Chen, Laura Couzens, Katie Rivers, Judith Easterbrook, Kevin Yang, Lei Zhong, Mohsen Rajabi, Jianqiang Ye, Ishrat Sultana, Xiufan Liu, Xiu-Feng Wan, Daniel Perez, Jeffery Taubenberger, and Maryna Eichelberger. Molecular Basis for Broad Neuraminidase Immunity: Conserved Epitopes in Seasonal and Pandemic H1N1 as well as H5N1 Influenza Viruses. Journal of Virology. 2013, 87(16): 9290-300. Tan L, Chen H, Yu S, Qiu X, Song C, Chen D, Zhang S, Zhang F, He S, Shen X, Hu M, Ding C. A SOE-PCR method of introducing multiple mutations into Mycoplasma gallisepticum neuraminidase. J Microbiol Methods. 2013 Aug; 94(2):117-20. Lindomar Pena, Troy Sutton, Ashok Chockalingam, Sachin Kumar, Matthew Angel, Hongjun Chen, Weizhong Li, and Daniel R. Perez. Influenza viruses with rearranged genomes: a novel approach to influenza-based vectors and live-attenuated vaccines. Journal of Virology. 2013, 87(9): 5118-27. Sun Y, Ding N, Ding SS, Yu S, Meng C, Chen H, Qiu X, Zhang S, Yu Y, Zhan Y, Ding C. Goose RIG-I functions in innate immunity against Newcastle disease virus infections. Mol Immunol. 2013 Apr; 53(4): 321-7. Yu Y, Qiu X, Xu D, Zhan Y, Meng C, Wei N, Chen H, Tan L, Yu S, Liu X, Qin A, Ding C. Rescue of virulent class I Newcastle disease virus variant 9a5b-D5C1. Virol J. 2012 Jun 18; 9: 120. Kemin Xu, Lucas Ferreri, Agustina Rimondi, Marcelo Romano, Hebe Ferreyra, Virgina Rago, Marcela Uhart, Hongjun Chen, Troy Sutton, Ariel Pereda and Daniel R. Perez. Isolation and characterization of an H9N2 influenza virus isolated in Argentina. Virus Research. 2012 Sep; 168(1-2): 41-7. Ashok K. Chockalingam, Danielle Hickman, Lindomar Pena, Jianqiang Ye, Andrea Ferrero, Jose R. Echenique, Hongjun Chen, Troy Sutton, and Daniel R. Perez. Deletions in the neuraminidase stalk region of H2N2 and H9N2 avian influenza subtypes do not affect post-influenza secondary bacterial pneumonia. Journal of Virology. 2012, 86(7): 3564-73. Meng Chunchun, Qiu Xvsheng, Jin Shiqiang, Yu Shengqing, Chen Hongjun, Ding Chan. Whole genome sequencing and biological characterization of Duck/JS/10, a new lentogenic class I Newcastle disease virus. Arch Virol. 2012, 157(5): 869-80. (IF=2.111). Xiangan Han, Chan Ding, Hongjun Chen, Qinghai Hu, Shengqing Yu. Enzymatic and biological characteristics of enolase in Brucella abortus A19. Mol Biol Rep. 2012, 39(3): 2705-11. Aijun Sun, Yanpeng Li, Jingyan Wang, Shuai Su, Hongjun Chen, Hongfei Zhu, Jiabo Ding, Zhizhong Cui1. Deletion of 1.8-kb mRNA of Marek's disease virus decreases its replication ability but not oncogenicity. Virology Journal 2010, 7:294. Xufang Deng, Xiangdong Li, Yang Shen, Yafeng Qiu, Zixue Shi, Donghua Shao, Yamei Jin, Hongjun Chen, Chan Ding, Li Li, Puyan Chen and Zhiyong.Ma, Meq oncoprotein of Marek’s disease virus interacts with p53 and inhibits its transcriptional and apoptotic activities. Virology Journal. 2010. Nov 26; 7: 348. Chenfei Zhang, Aijian Qin, Hongjun Chen, Xufang Deng, Yuwen Su, Kun Qian. MDV-1 VP22: a transporter that can selectively deliver proteins into cells. Archives in Virology. 2009; 154(7): 1027-34.